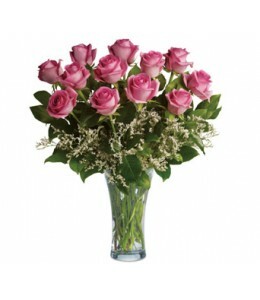 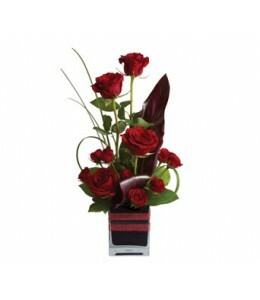 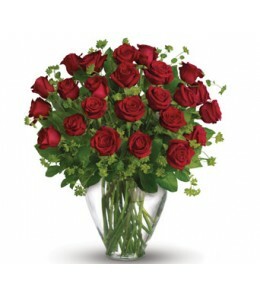 Roses, the traditional flower of love, receive a modern twist in this imaginative arrangement, stylishly presented in a contemporary glass cube.Flowers are subject to seasonal availability. 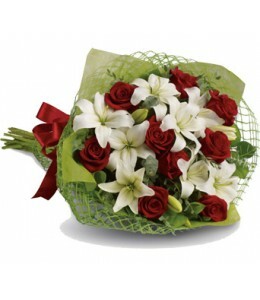 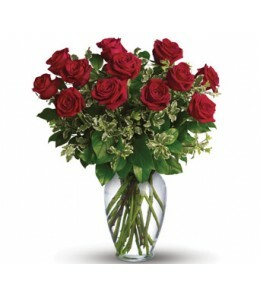 In the eve..
Add some romance with this rich bouquet of luxurious red roses and white lilies.Flowers are subject to seasonal availability. 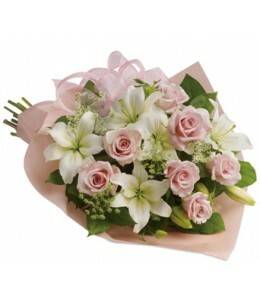 In the event that any of the flowers are unavailable, the florist will sub..
Show someone how much you love them with this gorgeous bouquet of lilies, roses and gerberas.Flowers are subject to seasonal availability. 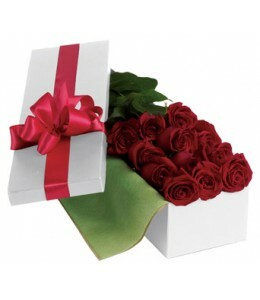 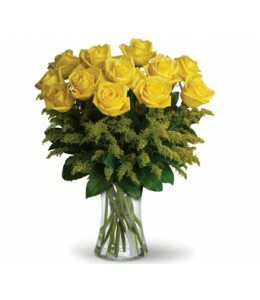 In the event that any of the flowers are unavailable, the flo..